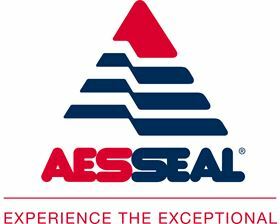 AESSEAL earned top scores in the UK’s largest independent customer satisfaction survey. Mechanical seals specialist, AESSEAL, recently earned top scores in the UK’s largest independent customer satisfaction survey, beating retail giants such as Amazon, John Lewis, Apple and IKEA. AESSEAL, which designs and manufacturers mechanical seals and support systems at its global technology centre in Rotherham, Yorkshire, scored 87.5 out of 100, compared with a UK average of 77.9 and beating Amazon. It scored significantly above average in all the categories its customers were questioned on, including product quality, reliability and cost, the helpfulness and competence of staff and notably customer effort (how easy it is to do business with AESSEAL). The UK Customer Satisfaction Index (UKCSI) is considered the national measure of customer satisfaction. It gives insight into the quality of customer service in 13 sectors of the economy, as well as the UK as a whole, and reveals how companies measure up against each other.